Ryan was born in Houston, Texas and came from a very musical family. At an early age he began playing piano and was strongly encouraged to play musical instruments. When he was twelve years old he began playing the double bass in a middle school orchestra. Ryan was very passionate about music and was interested in pursuing a degree in musical performance until he was exposed to instrument making and repair by James Ham while attending a summer workshop at the University of North Texas. From there, he decided to enroll in the Violin Making School of America in Salt Lake City, Utah. 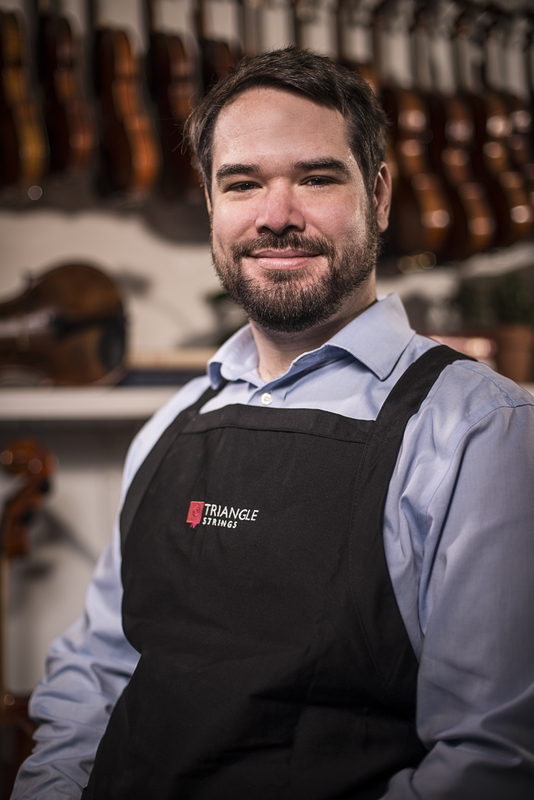 After violin making school Ryan felt a strong leaning toward instrument restoration and attended the Oberlin Violin Restoration Workshop at Oberlin College. After some time working for a shop in California, Ryan moved to Raleigh to work for Jerry Pasewicz. In Ryan’s spare time he enjoys playing music, mountain biking, surfing, and camping.